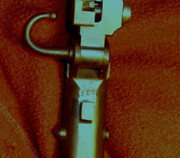 Japanese Militaria at Castle-Thunder.com Forum -> Wanted, Buy, Sell, Trade! I have a Type 44 with mum. I would like to sell it. It's in really good shape. 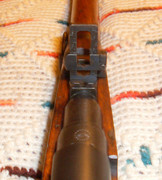 I have photos of the rifle and some data identifying it. 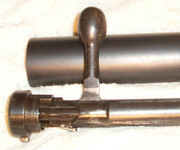 Nagoya Arsenal, 3rd variation with the wide spaced screws on the bayonet assembly. You can email me. dlwoodz@yahoo.com for more detailed info. Like: ID stamps, photos etc. Fill out a Japanese Rifle Datasheet. I didn't pay to much for that old Arisaka, I just bought it a little bit too soon! mmmm Rods, what is the price? did you ever sell this one?